One of my daily rhythms includes rest, something I really struggle to do since I'm so production-driven. This is something God is working on in me. And wouldn't you know...He sent me just the people and tools I needed to point me in that direction? I don't want my home or life to be based on productivity, but on being life-giving. This has largely been the reason for my blog going quiet. To be honest, I wasn't sure I'd be writing much of anything new on it for the entirety of the year. As much as I want to write and share consistently, I simply can't. Not only do I not have the time to write every other day, I don't have the content to write every other day. Oftentimes, I just don't know what to write. And throwing just anything up there won't do. So believe me when I say I want to write and write often! Sometimes the mounting pressure can be unbearable -- which was the case for January. 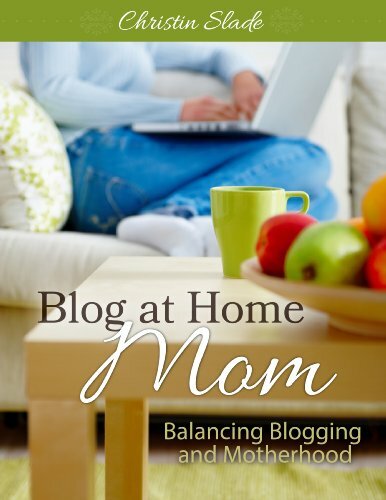 I gave myself permission to let blogging go and be OK with it. In the mornings, I've been focusing on doing a family devotional with my children and then doing a morning read aloud together. It has been a highlight of my day! 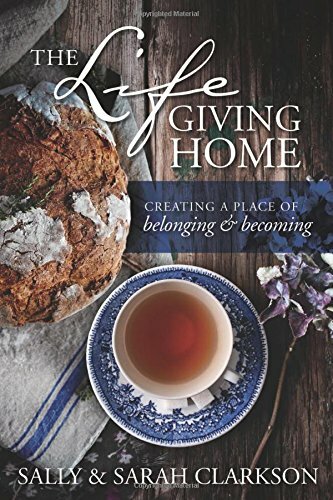 But over this past month I've also been reading Sally and Sarah Clarkson's latest release, (aff) The LifeGiving Home. Sally and I go way back to first meeting at the (then) Relevant Conference in 2011. She is a real gift to me and so many other women and families. God is using her and her family in such a mighty way and the message of this book is a feast. Sarah and Sally share such beautiful, tangible ways to bring life into your home. The stories and ideas shared here will no doubt spark ideas for your own family -- use these ideas to adapt them for your family. Start small if you're not sure where to begin. How about an evening snuggle with a bed time story? Maybe that's not something you do in your home? Or a late night snack and chat with your eldest? For no reason at all other than you like their company. Not only do Sarah & Sally share the why's of a foundational, life-giving home, but they also offer lots of practical ideas from their own family on how to make that happen. Some you may be already doing, but maybe you feel something is missing? Maybe you aren't sure why there is underlying tension or stress in your family? It could mean the members of your family (you included) simply need a reprieve. How can you make your home an anchor, a safe place for your family? How can you make if full of life and not just living? Practical ideas such as visiting festivals and museums, or curling up with a good read aloud and a cup of tea (or hot cocoa). Making delicious meals and using the dinner hour as an anchor. It doesn't take much to make a meal special! For Sunday dinner, we had a breakfast buffet spread out! It was a wonderful time of good food and family fellowship! Sometimes we overcomplicate things and become overwhelmed. But creating a life-giving, family culture does not need to be complicated. But it should be consistent and made up of various elements. I believe women have a major identity crisis which is why we struggle in so many areas. We struggle with comparison and worth because we don't know who we are or Whose we are. When someone badgers us, belittles us, or mocks us, often we forget where our identity lies. It lies not in our abilities (or lack thereof), not in our accomplishments, not in our "good works" and not in our productivity. Our identity is in Christ alone. Whether we are high achievers or humble succeeders...Christ defines us. The Enemy works his lies to make you believe your worth comes from your work or from who someone says you are. He is a liar. When we recognize the truth, there's no end to what is possible because we know where to go for strength. We know where to go for Truth. We know where to go for the right resources. Prayer. We don't need to pray for these in our lives, because they are already there! We need to pray we can recognize them and utilize them. "If we're not strategically praying in accordance with who our Maker and Redeemer says we are, we'll always be subject to Satan's attempts at devaluing us." The Enemy wants us to feel defeated and defenseless, not strong and courageous. He will do whatever He can to attack us on the most personal level. The family has been under attack since the beginning, in the garden. Satan seeks to destroy our relationships and our witness to the world, and I dare say, he's succeeding. Marriage is a big part of the foundation of our families! If they fail, the family fails. We need to FIGHT for our marriages. Not take them by chance. When we have conflict in our marriage, where do we take the fight? To our husbands, or to our knees? We also need to recognize the issues may not be all our husbands fault. We need to look deeper into our own hearts and seek out what our own desires are in order to get to the root of the battle. Are we subconsciously bitter because we don't have the desires we want from our husbands? Don't let the Enemy stir up that ammunition! Seek out your husband's needs and meet them and often it will reciprocate. But also pray diligently for your marriage and family! Marriage is a physical representation of our spiritual relationship with God. Not a perfect one, but a set apart one. Do we value it enough to protect it? 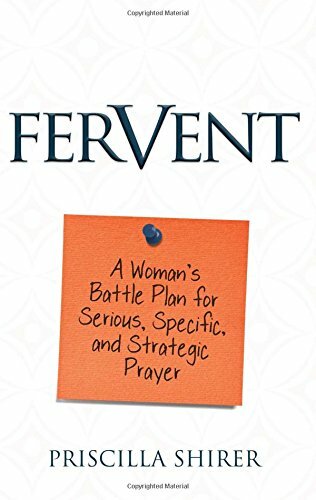 We are currently going through the book Fervent by Priscilla Shirer. Join us here! We are going through the book, Lead Your Family Like Jesus. You can see previous posts here. I am a sucker for habits and though I don't have all of them in place that I would like, we do have a simple, solid structure of daily habits. Our reading this week was the section on The Habits. This week I am opening this up for YOU to share what you're learning in the comments. What is one thing you want to implement into your family after reading the section on The Habits? We're on week three of our six week, Lead Your Family Like Jesus, summer book club. This week's reading was the section on The Head. The content surrounds Family Values, To Do or Not to Do, and Staying on Course. 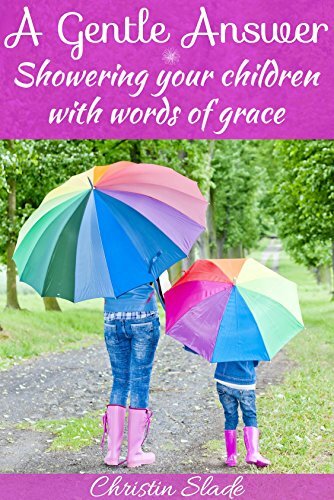 I couldn't agree more with the authors about creating a vision for your family. We cannot journey somewhere with no destination in mind. We'll only end up in circles, headed nowhere. "Vision is important because leadership is about going somewhere. If your family members don't know where you're trying to take them, they'll have a hard time getting there--let alone getting excited about journey." This makes so much sense. Children (and adults!) have a sense of security and purpose when they have a vision and know where they are headed. What vision have we given our children? What purpose? When they wake up in the morning, what purpose do they have to accomplish? The most important vision I have for our family is to seek out the Lord Jesus Christ with our whole lives. Every day we live, needs to be about Him. That's what I want. And why? Because He is our purpose. Just as Jesus was a servant to His people, so do I want to serve and teach my children to serve. But serving each other within the walls of our own home is but a place of training. We aren't to remain there, hidden from the world. This isn't about bragging or showing off oneself. It's about showing off Jesus and being His hands and feet right outside our front door. But there's a way to do it. We need to truly love the people in our community as individuals, not treat them as projects. Our goal isn't to get people saved. Our goal is to love people with no strings attached. That's what Jesus did and still does. Those are the footsteps I want to follow in. Staying focused on our vision everyday is what will help us reach that destination. We as parents need to recognize that our children are in a season of training and learning. There will be lots of mistakes and childishness involved that we must keep into perspective. These are opportunities to help our children grow and mature; not for us to vent our anger because we are inconvenienced. Think about how your reactions might affect your children in future mistakes. Do we want them to cover them up or be open and honest when they need help or support? All of life is a learning and growing process. None of us will ever "arrive" at perfection and sometimes I think we set our expectations on our children to that level. We think that because they've made a mistake and suffered the consequences, they will never make that mistake again. Sometimes it takes more than one time to learn a lesson. How many of you can relate to that?